A side delivery rake, circa about 1940's, built to be pulled by either a team of horses or one of the tractors which were just becoming common in those years. We opted for this type of rake because they are lightweight, efficient, adjustable, and easy to maintain. Finding a rake like this in good condition took some research, some patience, and some negotiating. 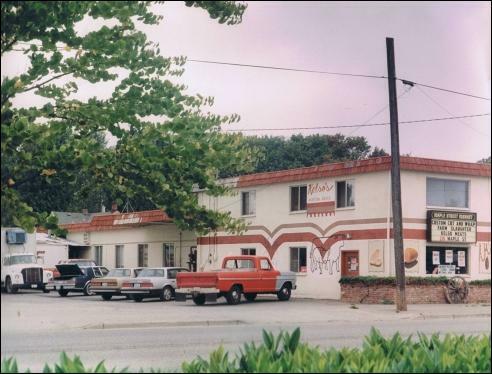 With decent care, it should continue to provide good service for decades to come. Ever since last year’s hay harvesting fiasco, we’ve been mulling how to do a better job of things this year. And as most things go with farming, any hope of a good harvest requires a lot of prep work well in advance. In the context of hay, that prep work began the moment we realized that we needed efficient ways to cut, and turn, and bale up the harvest. Our scythe last year did cut the hay, to be sure. With practice we could have cut the hay via scythe as quickly as via other methods. But we didn’t have any way to quickly turn the hay, nor did we have transportation for loose hay. We needed conventional bales to make the most of our hay field, and feed our animals cost-effectively through winter. Add to that our region’s notoriously short hay harvest window: July and August are the only two months we can reliably have enough warm, dry weather to make good quality hay. If we really truly wanted to put up our own hay, we needed different equipment. The acquisition of our tractor in December 2011 was the first big step in that direction. I had held out hopes for a long time that I could get our horses trained up to do haymaking work. But with the loss of our Gaye over the winter, that plan had to take a back seat for the time being. We did have the tractor as a power source, so our next goal was finding the three basic implements for haymaking: a mower, a rake and a baler. As simple as that sounds, the details were a lot more involved. The first order of business was making sure that any implement we purchased would be large enough to realistically harvest 10-20 acres of hay in a timely way, say in 5 acre batches. While making 5 acres of hay with a hand-held scythe is a challenge, that acreage is well within the range of all commonly-available tractor-drawn haymaking implements. Ironically, the equipment needed to also be small enough that our small tractor (and our small budget) could handle them. Here is where things got a little trickier. Our little tractor Dorothy is a Ford 9N, which is one of the earliest and smallest common makes of tractor in the USA. She’s only got about 22hp to work with. Her size and hp rating limited our implement choices. She would have plenty of size/power for most traditional sickle bar mowers, but she was too small for the newer flail and drum-type mowers. 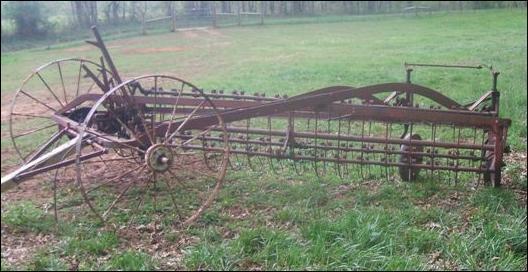 Rakes usually don’t require much power, particularly if they are ground-driven. In that instance, the tractor merely needs to pull them across the ground, and their own wheels are geared to a transmission which turns the rake itself. There, the main issue would be the weight, width and cost. Many modern rakes are lightweight wonders of engineering, but their cost was relatively high. Yet our area has a relatively good supply of older types, still in good working condition. These older models were typically very light weight, low cost, and efficient. That gave us something specific to look for, for two of our three needed implements. I knew from my initial online research that sickle bar mowers would be easy enough to find either used or new; the trick would be to find models which were in good shape without being too expensive. And we knew what type of rake we wanted - the original side-delivery rake, as illustrated above. After watching the used farm equipment ads for awhile, and not finding any good candidates, I decided to run a Wanted ad which listed what we were looking for. Happily, I had several replies. Some of those ads sounded like a good deal but didn’t pan out for a variety of reasons - too far away, too expensive, too much repair work required, etc. But one ad sounded promising - he had both a rake and a mower of the types we were interested in. The rake was in good shape and was field-ready but for a few bent tines. The mower needed quite a bit of work, but had been put away in working order and probably just needed a cleaning, a sharpening and a lube job. We drove down to look at them, and found exactly what he had described. The rake was in great shape, while the mower definitely needed to be serviced. It didn’t have any broken or missing parts, but the knives definitely needed to be sharpened, the gear box was dry, and the whole thing had been sitting awhile. We negotiated a price for the rake, and he offered to toss in the mower for free simply to take it off his hands and out of his yard. Free is a pretty darn good price, so we took both. After we had negotiated the terms of the purchase, the seller told us how he'd ended up with the rake. His property was part of an old dairy farm, and this rake had been on that dairy farm for decades. When the dairy farm was eventually sold and broken up into suburban parcels, the new owners didn't have any use for a hay rake, and were considering sending it to the scrap pile. The seller bought it simply because it was, in his opinion, a beautiful piece of American agricultural history. He never used it himself, but he couldn't bear the thought that it was going to be scrapped simply for the sin of having outlived its original owner. He was delighted to learn that we intended to actually put it back into service. If we take good care of it, and the rest of our equipment, they may outlive us as well. Somehow I find that a very satisfying thought, particularly in this day and age of disposable products and planned obsolescence. We had two of our three haymaking implements. The third piece, the baler, has proven to be more challenging to find, for a variety of reasons. We may have tracked down a model which will work for us. But until we finalize that deal, I’ll save that story for a little later. In the meantime, suffice to say that we’re thrilled to have gotten even this far. Many well-respected growers in our area warned us that we’d have to spend upwards of $20,000 for a decent set of haymaking equipment, including the tractor. To date, we’ve spent only a fraction of that amount - $800 for the tractor purchase, another $400 for various repairs (including our tutelage under our mechanic’s watchful eye), $250 for the rake and mower, and another $250 to have those implements trucked from their previous owner to us. We estimate we’ll need to put another $500 worth of parts and repairs into the rake and mower, with the bulk of that cost going to the mower. Still, we’ve spent $1700 so far, and we’ll probably spend $2200 total on the equipment we have so far. The baler will probably cost another $2000, between purchase and repair/tuneup expenses. So we’ll be into haymaking this year for less than $5000. That’s a much easier figure to budget than the $20,000 we were warned of. It just goes to show that careful shopping, careful evaluation, and learning to do our own work as often as possible, can definitely add up to significant savings. But stay tuned, Dear Reader, as the story about the baler unfolds. In the category of rescued old equipment, that baler’s tale is shaping up to be a rather amazing story in and of itself. The paperwork I’ve put together for our organic certification is plentiful enough, that I’ve set up a series of notebooks, each with various dividers, to keep everything organized. These records eventually will cover years’ worth of production. One of the biggest complaints about the organic program is the documentation requirement. Filling out the initial application is a crash course in many aspects of the NOP. Then maintaining those records over time can be a burdensome obligation as well. At first glance it’s easy to see how that might be a deterrent for some folks. Yet it’s the documentation that provides certified organic producers with the information they need to run more profitable businesses. Much as we hate to admit it, sometimes drudgery is worth the effort. Some time ago I wrote that we’d decided to go through the organic certification process. The first task before me as part of that process, was to complete a variety of forms known as the New Application Packet. Those forms serve to describe our operation: how we manage different crops and livestock species, how we market our agricultural products, how the farm works day to day throughout the year, and how we protect the various natural resources on the farm. Those documents are the foundation upon which we demonstrate how our farm meets both the spirit and the letter of the organic program. So it’s a pretty big deal to complete the paperwork, and then maintain it over time. Those who have completed the organic certification process have said that the documentation portion was the single most difficult aspect of the initial application; get through that and the rest is relatively easy. Those same folks have something of an ongoing love/hate relationship with the documentation even after the initial application. The records are a pain to create and maintain, but they provide valuable information not only for certification renewal, but also for ongoing management of a profitable operation. Given all that, I wanted to give this documentation stuff as much attention as it needed; our certification would sink or swim on the basis of how well I completed those forms. The biggest hurdle I faced was wrapping my brain around which forms were required. There are three producer-level categories of certification: Crops Production, Ruminants Production and Non-Ruminants Production. 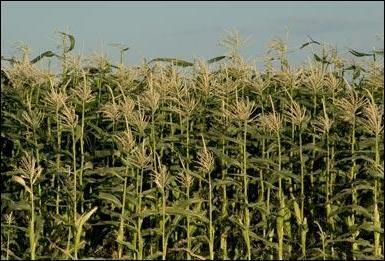 Crops Production could include anything from market veggies to fiber crops to grains to orchards and berries. It also includes hay and pasture. This becomes crucial for the second category of producers, namely Ruminants Production. One of the foundation principles for organic ruminant management is access to pasture - at least 120 days per year, and adequate roughage intake (ie, hay) during the rest of the year to enable normal rumen function. That hay and pasture must be certified organic. As a result, certified ruminant production typically goes hand in hand with certified hay production and/or pasture management. That relationship is so closely interwoven that a ruminant producer who wants to get certified, must also submit crops production paperwork to show how they manage their pastures. Even if they don’t normally consider themselves a crops producer. We knew we wanted to get our cows certified. That meant we’d already signed ourselves up for two of the three categories. Yet we also wanted to certify our chickens, our hogs and our rabbits. All three of those species qualify as non-ruminants under the NOP, and would be managed according to slightly different NOP rules than the ruminants. So that required submitting paperwork for the last of the three categories - non-ruminant production. And that formed the bulk of our application packet - filling out details for all three aspects of our production. 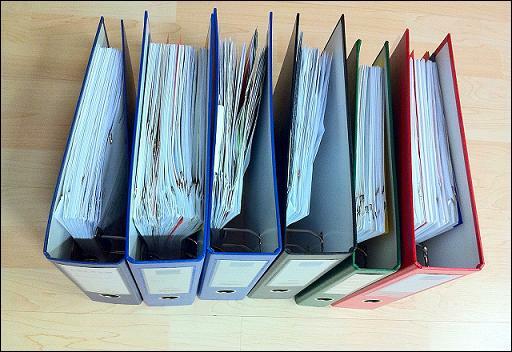 My first task, then, was to wade through and complete the documents required for each category. These documents would be our “photos” of how the farm worked, such that anyone would be able to look through them and get an idea of what we had, how we managed it from day to day, and how we anticipated, dealt with and/or avoided a wide range of issues that can and do occur during the year. Each category featured one document, the Organic Plan, which served as the overall description of that category. For instance, our Crops Production Organic Plan included sections where we listed our yearly crops, described our rotation schedule, named our sources for seeds and transplants and cuttings, listed the pests and diseases we’ve dealt with in past years and how we’ve dealt with them, described our soil fertility programs, scheduled our estimated harvests, yields and income, and even called for maps showing the different fields and neighboring land usage. Similarly, the Ruminants Organic Plan provided places where we described our nutritional programs, our disease management methods, our housing methods, pasturing summary, animal production life cycles, etc. The Non-Ruminants Organic Plan asked similar questions but without the pasture element. In addition to each category’s Organic Plan document, other documents within each category allowed us to provide much more detail than the summaries given in the Organic Plan. For instance, the Crop Producers Organic Plan asked for the companies who supply our seeds, but another form listed all the different varieties of seed used during any given year. The Ruminants and Non-Ruminants Organic Plans each asked for nutritional program summaries, preventative health care information and medical treatment practices, etc. Then associated documents allowed for more detailed information - a daily schedule record for pasture turnout, a medical treatment logbook, breeding and birth/hatch records, slaughter and/or sale records, etc. If I set up my record-keeping correctly, not only would these documents form an illustration of our operation, but they would also become a written history over time. At first it was a challenge to figure out which documents applied to me, which didn’t, and which piece of information went where. At first the wide assortment of documents seemed overwhelming. But as I worked with all the documents, they became more familiar and easy to work with. At that point I simply had to fill out the relevant forms, set aside those forms which didn’t apply to me, and then double-check everything to ensure that I didn’t have any inconsistencies between forms. I also had to simply proof-read things to ensure that the different sets of information all matched up - this field’s map was matched to this field’s buffer information, etc. So for two months, during every late winter and early spring storm we had, I was at my desk, going over this-or-that document, figuring out how they all fit together to form a comprehensive picture of the farm, and finally filling each out in turn. Given that we were applying for certification in all three categories, the vast majority of documents applied to our farm in some way. It took a solid two months from my initial “let’s do this” to signing on the last dotted line, and mailing it off. There were 64 pages in the mailed packet. Looking back on that exercise, I can see how some would be very irritated at the amount of work required. But frankly, I would have been disappointed had that process been any easier. Not to say I enjoy filling out paperwork. I certainly don’t. But if this organics program is supposedly the thorough, comprehensive, in-depth look at a farm’s operation, it’s going to take a certain amount of effort to capture and document that information. Had the paperwork been easier, or less detailed, it would have been easier to cheat, or fudge over details that didn’t really live up to the spirit or letter of the NOP. Furthermore, the value of on-going recordkeeping would have been drastically less, if the documents were only summaries instead of detailed inventories and itemizations. I found myself feeling rather satisfied that the documentation process really did lift up and look under every proverbial stone on the farm, to make sure our management met those high standards. If we’re really going for this “best of” certification, that examination needed to be demanding. So now that the packet has been mailed off, the next step is to wait. Wait for the packet to be reviewed by a WSDA Organic Program staff member; that individual will become my main point of contact with the WSDA’s Organic Program. If the reviewer has any questions or concerns about our application, we'll need to work through those before we proceed. Once those questions have been answered and that review is completed, then we’ll schedule the inspection to verify that our documents match our actual operation. We hope to complete the documents review portion of things sometime in May, then have that inspection sometime in late June or early July. Fingers crossed……. Kelso's Meats, our local butcher shop. We contracted them to come do the butchering for our first batch of hogs. They did an outstanding job. We are very fortunate to have such a butcher's shop so close to us; many rural communities are not so fortunate. For those who have such local facilities, we encourage you to support those businesses if at all possible. Without such facilities, small scale agriculture is extremely limited in options for feeding the community. Our first pig butchering session finally happened, and it went pretty darn well. Particularly when compared to our first scheduled attempt. On that particular day, the hogs wouldn’t come into the yard we needed them in, and a variety of other things happened that day to go down as one of the worst days ever here on the farm. Happily, things went smoothly this time around. We had rescheduled the butchering session with the same local, family-owned butcher shop that we’d scheduled with the first time around. They had been very accommodating when we’d called them that first morning to say we had to reschedule. We’d also patronized their retail shop for years, and we were very pleased with everything we’d ever had from them. So we still had high hopes that they’d be able to turn our first litter of pigs into edible fare. Not to skip to the end of the story prematurely, they lived up to all those hopes, and more. Butcher day dawned misty and chilly, but without hard rains. The hogs had finally moved into the yard adjacent to the driveway, two weeks prior, so they were well acquainted with that yard now. The only thing to be done at this point was to be home, direct the butchering crew to the yard, provide one last feeding to distract the pigs for the kill moment, and then stand back and let the crew work. And that’s pretty much what happened. Their fully-contained truck pulled in around 9am, positioned itself immediately adjacent to the holding yard, and the two butchering staff got all their tools ready in advance. I was ready with the morning feed, and the moment came. I wondered how I’d feel, after raising these animals for the last 7 months. I didn’t want to be nervous or squeamish. Immediately prior to the kill event, all was calm and I just wanted everything to go smoothly. The pigs had their heads down and were chowing down on their breakfasts when the crew began to do the kills. One man had the rifle, and had the experience of putting down thousands of hogs, cows, and other livestock. I was very glad he was handling the task. And one by one, he would take aim, fire once, and one more hog would go down. It was actually very quiet, with the pigs not making any noise. I did suddenly remember that when pigs are shot in the head, they will go down like a sack of flour but flail around quite a bit. Ours certainly did. But at the moment the shot hit them, they were senseless from that point on. So each knock-down constituted a humane kill. That had been my main concern that morning. Once the hogs had all been killed, the butchering began. And here again I was quite impressed with the experience and professionalism involved. The crew brought one pigs after another out of the yard, onto the driveway, and hung them up by their hocks, using a gambrel and cable running over a high swingarm to a powerful winch in the truck. Once hanging, the two men very quickly bled, gutted and halved the carcasses. The whole thing seemed to go very quickly, thanks again to the crew’s practice. In less than an hour, the crew of two men had killed and butchered our hogs, with everything going very smoothly. We couldn’t have been more pleased. By the time their truck pulled out later that morning, with our hog carcasses hanging in the back, we were very relieved that everything had gone so well. But that was only the first half of the whole butchering process. Next, the butcher’s shop had to cut and wrap those portions of the carcass that didn’t need additional curing, and put those cuts into a brine that needed to be cured. This particular butcher wanted each buyer to call them with preferences for how each carcass would be partitioned into various types of cuts. Oddly, this is the point where my involvement with the process yielded to my husband’s culinary preferences. I just raise them; he turns the carcass into food. So he spoke with the butcher about how we wanted our half cut and wrapped. Approximately one week later, we got the call that our packages were ready. The moment of truth had arrived. Had I raised up good tasting pork? I was delighted to eat the first of our packages, a package of pork chops cooked up on the BBQ on one of our first warm evenings. It’s an interesting thing, eating meat that we’ve raised ourselves. While I know some choose not to eat meat of any kind for a variety of philosophical reasons, I long ago decided that I was comfortable with the idea of eating meat I had raised myself. Yet this was the first time I’d eaten pork we’d raised ourselves. All the care and effort given to the sow’s maintenance, the fretting about building the first farrowing yard, tending the piglets as they grew, finally weaning them from their mom, and then finishing out their care as they grew so quickly. It had seemed a lot of work at the time, but finally here was the payback. Better yet, we started to get comments coming back to us from all the folks who purchased our hogs, after they too had started to eat the various meats. Every single one of them was thrilled with the meat, and they all asked me to please let them know as soon as we had another batch of piglets. That was even more gratifying than preparing our own meals. It’s one thing to provide our own food, and a wonderful thing indeed. But it’s a profound thing to raise food for others, and to hear from them that it was some of the best they’ve ever had. That’s what the last seven months have really been about. As pleased as we are with this first batch of piglets, we have already determined some ways to improve on our practices. We plan to offer better protection during winter conditions, a concrete pad upon which the crew can do future butchering, and some slight changes to the feeding program so the piglets can grow faster. We are also looking forward to our next batch of piglets being managed under organic certification, which raises the bar a little more on their housing, their feeding, and their general care. One of the things I’ve always loved about farming is that no matter how well we do things, there is always room for improvement. And as pleased as we were with our first batch of piglets, we have many ways to improve. So that will be the focus for our future piglet batches. In the meantime, we’re sure going to enjoy this first batch of pork. 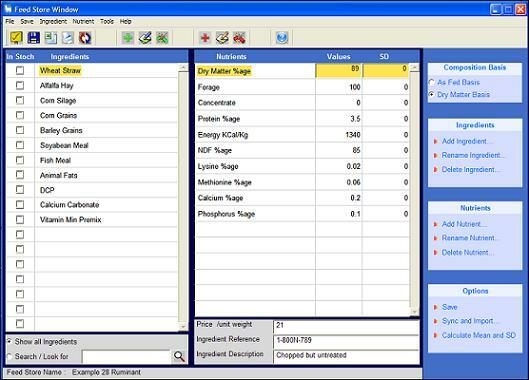 The above is a print-screen of a livestock ration software program called Winfeed. This program, and others like it, allow livestock owners to create, compare and evaluate different livestock rations, with different ingredients and different costs. 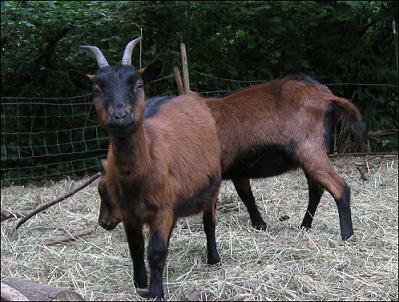 That comparison allows each owner to develop a unique blend of rations for his/her own livestock. I'm evaluating several to determine which one works best for us. My ongoing quest to cut the feed bill has looked for all sorts of ways to shave a few pennies, a few dimes, off the per pound cost of the various feeds we work with. Given that we go through thousands of pounds of feed per month, those pennies and dimes start to add up. So it’s definitely a worthwhile effort. In previous blog posts, we’ve already talked about some of the easier ways to do so - buying in bulk, buying direct from the grower, comparing different forms of the same ingredient, etc. Yet somewhere in the back of my mind I knew I’d come to this moment, when I needed to tackle a very big feed-related challenge. Namely, the challenge of formulating my own feed rations. And that moment has come. Some folks would wonder why this is such a big deal. More than once, I’ve heard it said “just toss hay over the fence, give ‘em some grain and a mineral block, and it doesn’t need to be any more complicated than that.” For a lot of folks, that is absolutely true. A great many herds and flocks are maintained in very good condition, without a lot of complicated calculations required. But we’re setting a pretty high goal here - feeding the best possible ration, for the least possible money. The better the results we want, the more we’re going to have to tweak things. And it’s the tweaking that will either pay off handsomely in terms of cost effectiveness, or get us into trouble in terms of introducing nutritional deficiencies which end up costing us. The first thing to know about formulating our own rations is that there are a lot of ways we can do it poorly. This is simply due to the fact that our livestock, generally speaking, can only eat what we give them. They can only build bone and muscle and hair and immune systems from the raw materials we give them. If the materials we give them are lacking in any way, or even if we give too much of something and too little of something else, they won’t be able to efficiently do the job we need them to do - provide the meat, the eggs, the milk, the fiber, and/or the work that we expect from them. That’s one end of the spectrum. The other end of the spectrum is that we do in fact give them everything they need, but it costs us so much in the process that we can’t make a living from our efforts. Our goal is to find that magical Goldilocks point, that “just right” point, where we are feeding just the right nutrients, in just the right combinations, in the most cost effective way, we can possibly find. And that takes some effort. So, where do we begin? The first possible answer, and the one which many people choose, is to look through various well-regarded books for management of any given livestock species, and read up on that author’s recommendations. Some will only provide general information about the need for wholesome ingredients, providing enough protein, calories and minerals to provide for all the basic life stages. If a livestock owner has only one or two species, that study might actually be rather straightforward. Pigs, for instance, have very well documented dietary needs, and a number of books talk about how to meet those needs in a variety of ways. That would be the place to start. But that information is so general, it doesn’t give us optimized production, in the most cost-effective manner. The next option would be to study more comprehensive livestock nutrition texts, such as the well-respected Morrison’s Feeds & Feeding. Various editions of this book have served as the basic college textbook on livestock nutrition since the early 1900’s. Each new edition included the latest research information on which feeds provided which nutrients, and how. Generations of livestock owners were trained with this book as their foundation, and it is still an excellent source of information today. I have two editions on my bookshelf- the 20th edition from shortly before WWII, and the 21st edition from shortly after WWII. I specifically chose those two editions because they provided a lot more information than previous editions, yet they were still focused on feed rations which would be either farm-raised or sourced locally. That philosophy of relying upon regionally available crops resulted in geographically-oriented tables and charts, showing which feeds were probably available in each particular region, and how best to combine those ingredients. Later editions began to include ingredients which were only available from distant locations, with the assumption that cheap transport options (which was true at the time), would make for the more cost-effective ration. That assumption is, in many locations, no longer valid. So once again, we are faced with trying to put together the best feed ration from the ingredients available locally or regionally. While that textbook has served as the foundation for countless livestock owners, I found I couldn’t make use of that information as thoroughly as I had hoped to. I didn’t have the time it would take to read through, study, and really digest (no pun intended) all the different details for all the different species. If we had just one or two species to feed, that comprehensive study might have been possible amongst my other responsibilities. But with over a dozen different livestock species to manage here, there was just too much variability. I couldn’t justify the time required to read, understand and then make use of thousands of pages. Not if I was going to put together rations and get anything else done this year. Fortunately, it turns out I didn’t have to. A third option is to use software programs to do all these calculations for me. At first, that might sound almost traitorous. Using software to calculate something this important? Turns out I certainly wouldn’t be the first one. I already know from conversations with others, that many (if not most) livestock nutritionists use one or more types of nutritional management software - from relatively simple Excel spreadsheets to full-blown multi-user software products with extensive databases. These software products store all the separate nutrient details for any given feed, such as the amino acid profile, the protein/energy/fat ratio, the types of carbohydrates, the types of fats and oils, the digestibility, the mineral content, etc. The software also contains all the general formulas, along with the more specialized information for which classes of livestock need which types of nutrients at different life stages. For instance, how dairy cows will need higher nutrient levels, particularly calories, protein, calcium and phosphorus during lactation than during pregnancy. How piglets need lysine to put on the most efficient growth after weaning. How rabbits will excrete excess calcium and sheep need much lower levels of copper than other classes of livestock. Various software products can combine and compare all that information, to help livestock owners develop just the right ration for each type of animal. Furthermore, these software programs also allow us to track the cost of each ingredient. This way, we can compare different feed rations not only in terms of nutritional merit but also cost effectiveness. And best of all, these software programs range from simple do-it-yourself programs, where I download the template and put in my own data, to fully supported programs with staff to monitor and incorporate the latest and greatest research results. Of course the latter software is much more expensive than the former. I probably don’t need the bells and whistles they offer. Still, there are a variety of products for me to choose from, which will give me the data management I need, at a cost I can afford, at a complexity level I can deal with. I am currently testing out a few different evaluation versions of such livestock nutrition management products. In a future blog entry I’ll write up which of them I ended up using, and why. 3)	Coat color combinations including wild/grizzled, solid black, solid red/brown, black and white spotted, black and red/brown spotted. That description of the overall wild hog population should have, by itself, been sufficient to prove that domestic hogs share traits with the feral/wild hog populations. In fact, Mayer & Brisbin repeatedly pointed out in their article that feral hogs brought those domestic breed traits with them into the wild, and those domestic characteristics were found in the hybrid descendents of any wild hog/feral hog crossing. Indeed they went so far as to say “Therefore, it currently is possible to encounter wild populations that might vary from pure feral hog to pure Eurasian wild boar in composition.” So, by the authors’ own statements, the list of criteria was merely a summary of all the traits seen in the wild. Many of those traits came from escaped members of domestic breeds, and still exist in domestic breeds to this day. The list was never intended to differentiate between wild and domestic hogs. In fact, by the authors’ repeated examples of how domestic traits were seen in the wild, the list could never serve that purpose. From that point of view, the MDNR’s list of criteria is worthless for differentiating between the two, according to the very authors and research the MDNR cited as their authoritative source. While these last two concerns might seem paranoid, a letter from the MDNR’s Director Rodney Stokes to a group of concerned MI hog owners would seem to deepen, rather than soothe, those concerns. In that letter, Director Stokes indicated that the state would use “existing information” to determine which farms and facilities were most likely to house, raise or otherwise own/manage hogs which might meet the wild/feral hog criteria. Any facilities which could have animals meeting the criteria would then be “a priority” for inspections, to ensure that any prohibited animals were not on the premises. Wait a minute, what exactly does that mean? Any hog, of any breed, could meet the criteria. So any hog farm would potentially have prohibited animals. And under the new law, any animals so found, even if they were on farm property rather than running at liberty off-property, could be destroyed under this new policy. By making that statement, the MDNR indicated that it intended to identify and destroy captive hog populations, apparently at its discretion. 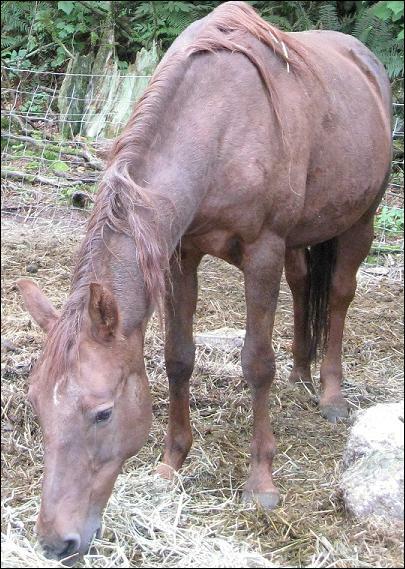 Gaye was one of those quiet, but rock-steady horses that you could always count on. She wasn't very photogenic, and she didn't have the head-tossing spirit or playful nature of our other horses. But she would give you her best to work through a situation. Sadly, sometimes our best just isn't enough. There’s a saying amongst Alaskan outdoorsmen: Some days, you get the bear. And some days, the bear gets you. Translated, that means that some days there’s precious little we can do to prevent really rotten things from happening. While my last blog talked about ways we can knowingly avoid the development of problems, other days they just catch us unawares and we have to deal with the consequences. Our “bear day” started the afternoon of Friday the 16th. Our first batch of piglets was due to be butchered the morning of the 17th. We needed to move them up to their holding pen near the driveway, so that the butcher crew would have easy access to them. We had already constructed an “L” shaped connector pen running from where they were being raised, up to where they needed to be. They had spent the last week in that pen, moving back and forth between the new areas. All we needed to do was close off the lower portions of the connector pen, via a short section of fencing across the pen’s width, so that they were restricted to the upper portion nearest the driveway. Simple. That Friday afternoon, I had the section of fencing in place and ready to go. All I had to do was call the pigs up to the top portion of the yard, then move that short section of fencing into place. I put out their feed near the top of the yard, just like I’d been doing for a week, and they came running. But as soon as I started to stretch that section of new fencing across the width of the yard, things started going wrong. One pig noticed what I was doing, and trotted down to see what the new fencing was all about. As soon as she came down, so did the rest of them. Soon I had pigs milling around the new section of fencing, both in front of it and behind it. Clearly I couldn’t finish my fence post connections, let alone the hot wire, until they were all on the correct side. So I stopped what I was doing long enough to get more feed, then tried to finish. 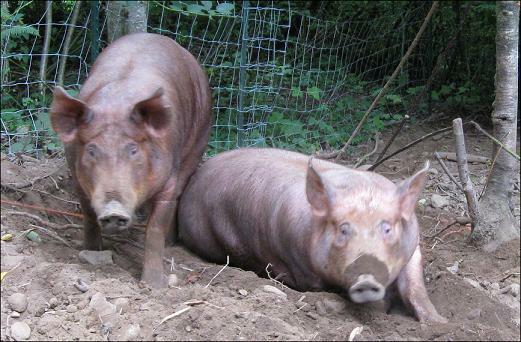 But pigs are stubborn creatures, and the entire rest of the afternoon was spent testing and challenging the new fence. Despite the hotwire at the bottom, every single pig got through the new fence, such that they were back on the wrong side. And the more upset I got at each new escape, the more excited and hyped up they got. Late that Friday afternoon, I started to understand that we might not get them moved back up to the top pen before dark. They were having entirely too much fun running amok and playing hide and seek in the very same woods, at the bottom of the pen, where they’d already spent the entire previous week. My husband was home from work by this point, and as the light failed we took down the divider fence and tried to drive them back up to the top of the pen. The hope was that with two of us, one of us would be able to reconnect the fence behind the pigs while the other kept the pigs busy. But they weren’t cooperating. The more we did to move them, the more they moved in the wrong direction. Finally, by flashlight, we had to admit defeat. Maybe we could move them in the morning before the butcher crew got there. By then we were already tired, filthy and grouchy with how things had gone that day, and evening chores only made us more so. We finally got done around 10pm, and had the chance to clean up a little and have something to eat. My husband went off to bed shortly thereafter, and I stayed up a little longer to get a few things done that I’d wanted to do that afternoon. Around midnight I went outside for my typical final check before bedtime. I particularly wanted to see if the pigs had come back up to the top of the hill by themselves (which they hadn’t), but I also took the opportunity to go give everyone else one more looksie before I retired for the evening. That’s when the day went from bad to terrible. The goat and sheep barn was nice and quiet, with everyone bunked down for the night. The chicken and small animal barn was similarly quiet, with the birds on their roosts and the rabbits just finishing up dinner. My last check was the cow and horse barn. I strolled down the lane to that barn, and saw our two cows, standing very quietly chewing their cud. And Penny, one of our horses, was still visible finishing up the last of her evening hay. But where was our other horse Gaye? I thought perhaps she was out in the yard, and continued to walk down the aisle towards the barn. As I got closer, I could see she wasn’t in the yard. I had to go into the barn to finally see her. Gaye was down in her stall, flat on the floor, cast against the stall wall, flailing to get up. This was an emergency. Horses are prey animals, and they are most frightened when they feel vulnerable to predator attack. Other prey animals lie down very comfortably all the time, in part because they can get up relatively easily. But for whatever anatomical reason, horses have to work at it to get up. They even sleep standing up. So they only lay down when they feel very secure. When they do lay down, they need to be able to get up very quickly, in case they have to run away from predators. Out on the open prairie where their kind evolved, that isn’t really a problem because they don’t have many obstacles. But if they happen to lay down too close to a fence or wall, such as in a barn or paddock, they can get into a position where they can’t stand up again. That situation is known as being “cast”. And it turns into a life-threatening situation very quickly because the horse gets panicky, starts flailing around flat on its side, and either stresses itself into heart failure, causes injury in the attempts to get up, or slips into shock. The trick with cast horses is to somehow get their feet back under them, so that they can then start to lift their hindquarters up, then rock forward such that they can come up on their front legs. It’s an ungainly movement for horses, and it can be dangerous for people to move those hooves around when they’re already flailing. I worked for two hours to get Gaye positioned correctly so that she could stand up, but she was so upset she was working against my efforts - I’d get her close to the correct position, and then she’d start struggling again and undo all my efforts. The worst part was, she was exhausting herself with every new, failed attempt to stand. I tried putting bales of hay behind her to get her away from the stall wall, yet give her head room to swing so she could rock herself forward, but to no avail. We were digging holes in the stall floor with her flailing hooves, and not making any progress. At 2:30am I finally realized I couldn’t do this by myself, and went inside to get my husband’s help To his credit, he was fully awake and dressed and ready to rock and roll within 5 minutes. We went back outside, found Gaye basically where I’d left her, and started to brainstorm about how best to get her back on her feet. Long story short, we successfully got her into perfect position to stand several times, but by then she was so tired and stressed out that she’d get partway up then quit. Her breathing was ragged, I could feel her heart pounding through her ribcage with every attempt, and I started to fear that she was going to give herself a heart attack just by the attempts to stand. It was 6:00am. We had been at it now for hours and we were no closer to getting Gaye up on her feet than when I’d first found her at midnight. We called the regional veterinary emergency service; no one was available to come out to help, but we were able to talk to the on-duty hospital vet and asked for her suggestions. She asked if there was any way to get a tractor with a loader back to her stall, so that we could lift her with the loader. Unfortunately, our tractor loader was out of commission, and even if it was working we didn’t have the clearance to position the tractor for such a lift. The vet then asked how old the mare was, and we said she was in her mid-20’s. The vet then said that horses do start to get cast more often at that age, because they are starting to get arthritic and they can stiffen up and/or experience pain when trying to stand up. She asked how Gaye’s mood was, and I said she was physically exhausted, but less fearful than she’d been when I first found her. In the previous hour she had been willing to take both hay and water, which was a very good sign that she was calming down. The vet suggested that we give her a dose of oral Banamine to temporarily relieve any pains associated either with possible arthritis and/or the stresses of all that exertion. Then we should let her rest for a few hours, then try again. We had been able to keep Gaye upright with her hind feet tucked under her for the last hour. I tucked her front feet under her as well, so that she wouldn’t try to stand again, and instead would hopefully eat something and rest up awhile. I drove down to the hospital, got the banamine, and drove home and administered that, then followed up with some more hay and water. After giving her the banamine around 7am, we stopped and took stock of our situation. Gaye was calm and well-positioned for the moment, eating her hay, well hydrated and as comfortable as we could make her. We walked down to the pig yard to see whether they had magically come up to the top of the pen, but no they were still down in the woods at the bottom of the hill. My husband had to work that day, so he couldn’t help any more with either the pigs or the horse. As my husband showered, dressed and left for work around 7:15, I finally had to admit that we weren’t going to get the pigs moved in time. So I called the butcher to let them know we’d have to reschedule their visit. Mercifully they were able to cancel without too much upheaval to their schedule, so we were off the hook in that regard. I checked on the mare one more time at 8am, and she was still eating which was a very good sign. I went in to eat something myself and hopefully catch a few winks. I had been up early the morning before and had worked through the night on the mare, and I was fried. I sat down on the couch to rest and set the alarm to get me up at 9am to go check on the horse again. By then, resting for two hours, she should have had enough time for the Banamine to kick in and her system to have recovered a bit from the overnight stress, and thus would be in good shape to try again. I woke up with the alarm at 9am, and walked out to see how she was doing. Sadly, for reasons that we were never able to answer, she had passed away during that short interval. I don’t know if she’d made one last attempt to stand and her heart had finally given out. Her front legs were extended again, as if she had tried one more time to lift herself. It’s also possible that in her equine mind, she had concluded she was never going to stand again, and she had just given up. We’ll never know. But here we were 9 hours after her emergency had started, and we’d lost the battle. I was so tired, I just walked back to the house in defeat, emailed my husband at work that we’d lost her, and laid down on the couch with all my clothes still on, and just slept. I woke up around noon, hoping that the whole previous 24 hours had been one long bad dream. Unfortunately, I went back outside and saw that the pigs were in fact still down in the woods, and Gaye’s beautiful face was no longer eagerly watching me from the barn. And that’s when I knew what it felt like to be gotten by the bear. We buried Gaye that next day. We are watching her lifelong stable-mate Penny, to see if Penny shows any signs of depression, anxiety or other indications that she might need some help with her own grieving. And we’re grieving too, having fought so hard to save Gaye only to have failed in the end. Talking with other horse owners, most horse owners have seen horses cast at least once. Some of those horses were lost - they either injured themselves badly enough while down that they couldn’t recover, or their hearts failed as Gaye’s apparently did, or they colicked and died. Those who recovered sometimes took a long, long time before they were back to their normal selves. Every last horse owner agreed: a horse on the ground is just an ugly situation. No insightful words of wisdom for how to avoid this in the future - sometimes it just happens. Not even any words of wisdom about how to deal with it when it occurs. There’s ways you can position a horse so that you have given them every possible opportunity to stand, and they still won’t or can’t for whatever reason. I’ve even read that when they’re finally lifted with a sling, sometimes they still die. Some days, no matter what we do, we’ll still have these unhappy endings. And that’s just the way it is. Stella as a yearling, with her dam Copper in the background. Stella was lost to us but her genetics will remain available through her relatives. Not exactly the same, but some consolation. Our 2012 kidding season has now come and gone. And as much as we are thrilled with the kids who were born this year, it was a challenging season with some really hard lessons. Given that a big part of this website is to teach folks about how to do things well, and how to avoid doing things poorly, I wanted to talk a little bit about how we did things poorly last year, resulting in some problems this year. I should start off by saying that we’re not rookies at this business of breeding goats and delivering goat kids. I think this will be our eighth breeding year, with well over 50 kids successfully delivered. But last year, we got behind with our various tasks, and one of the things which should have happened in July and August, but didn’t, was the separation of our does and bucks. You long-term readers of this blog might recall that I had some health issues over the summer, and the doe/buck separation was just one of the many tasks which didn’t get accomplished during that interval. As a result, when the does came into season and the bucks began their rut in late August, everyone was still running together and we had uncontrolled breeding. I had no idea who bred whom, when the deed was done, and as a result I had no idea what everyone’s due dates were. If I can impart a small tidbit of wisdom, DON’T do it this way. It makes for way too much guesswork later. But, it happened and we moved on. The second thing that went wrong was that I didn’t make special allowances for does who might be carrying multiples, and it turned out one of our smaller does was in fact carrying multiple embryos. Stella had given us beautiful kids in the past, and she had always delivered without any complications whatsoever. She also was one of the higher does in the pecking order, so she rarely ever needed any extra TLC at the feed trough. But this year, unbeknownst to me, Stella had that higher metabolic demand on her system, which I should have caught early on. The third thing I did wrong was not recognizing how serious things were when I saw the first signs of trouble. Stella started having issues keeping the weight on through winter. I already had all the pregnant does on extra feed and supplements, but she was still not quite maintaining weight. She also was clearly carrying multiples in her small frame, which should have been a very big red flag for me. So it should have been no surprise, given all these conditions, that at approximately 2 weeks prior to her delivery date, Stella went into hypocalcemia, more commonly known as milk fever. Hypocalcemia is the life-threatening shortage of calcium in the bloodstream. Calcium is not only needed for bones, but also for a host of other purposes including proper muscular function. Hypocalcemia is typically a nutritional deficiency but it also be caused by physiological problems which impact the body’s ability to make use of whatever dietary calcium is available. It can affect any living creature, but it most commonly affects near-term dairy-breed animals (goats, cows and sheep). They are most prone to it because they have been bred for centuries to produce not only viable offspring, but also a surplus of milk. This puts a huge calcium demand on their system at the end of each pregnancy and beginning of each lactation. Many livestock owners will supplement their pregnant animals with calcium-rich foods such as alfalfa, prior to the highest-risk period and then through the first third of lactation. But sometimes even that isn’t enough. In the case of Stella, she was getting a feed ration which was sufficient for a doe her size carrying a single or twins, but it just wasn’t quite enough for a doe carrying multiples. Simply knowing she was having that trouble should have been my cue to not only up her feed intake, but also start giving her additional calcium as a precaution. But I didn’t. The morning I found her unable to get up, we began supplementing calcium right away. But by that point, she was already so deeply in deficit that we never actually caught up. We were dumping easy-to-absorb calcium into her body every day, at a rate 10x the amount normally needed for a pregnant doe her size, but we were only able to barely keep her stabilized. Since we didn’t know her due date, we didn’t know if the kids were far enough along to induce labor under controlled circumstances. We continued that way for almost a week. She'd show improvement, then slide a litlte, then show improvement again. We actually reached a point where she was doing solidly better, and I started to think "OK, we're finally getting ahead of the curve." Then finally, the night she went into labor naturally, her body made one more big metabolic push to fill out her udder and bring forth her kids. But she couldn’t meet those demands on her own, and we learned too late that labor was underway. She died before we could get the kids out, and they died with her. It was a crushing loss. There’s a saying amongst pilots that most flying accidents start on the ground. Translated, that means that most accidents actually have their causes well in the past, at points in time where we could change the outcome if we could only see the problems stacking up. That was the case with this doe. We could have had three or four perfectly healthy kids running around today, and a doe still alive and nursing at least two of them, if we had recognized the problems stacking up slowly but surely in the months and weeks prior to her delivery. Sometimes farming (and life) is a matter of looking at what mistakes we’ve made, and figuring out how to avoid them. This one was expensive, and heartbreaking. She was in her prime, and she took all those kids with her when she went. The only thing I can do now is try to learn from my mistakes and manage my herd better this year, for a more successful 2013 kidding season. More specifically, I need to separate the does and bucks in July so that we have no accidental breedings. I need to know who breeds whom, and on what date, so that I will know the anticipated delivery dates. I need to get those does on a higher plane of nutrition earlier than I did this year, and I need to be ready to supplement any doe who is struggling with her pregnancy for any reason. Those improvements won’t guarantee that we’ll never see milk fever again. But it will help reduce both the likelihood, and the severity, of any future issue. That is some small consolation for our losses this year, but it won’t bring back the doe we lost, or the kids we lost. Sometimes, lessons at the University of Barn & Paddock come with a very, very high tuition. This was one of those times. The above image is from Threemile Canyon Farms, a certified organic farm in northern Oregon state. They have both certified organic and conventional crops, but they are expanding their certified organic lands each year. They have been recognized by Sustainable Northwest for their farming practices. When we purchase certified organic grains, these are the kinds of farms we support. As I have written in past blogs, the cost of feed is the single highest cost involved for most livestock owners. Whether we buy in feed or grow our own, a heckuva lot of our time, money and/or effort must go towards feeding our stock. So finding cost-effective feed options is paramount to any farm’s bottom line. My 2012 Feed Bill Challenge has been working to find those options. But now we have a new wrinkle - our recent decision to pursue organic certification has added another layer to our feed bill challenge. We still have the goal of reducing our overall feed bills, but we need to meet the criteria for the National Organic Program now as well. 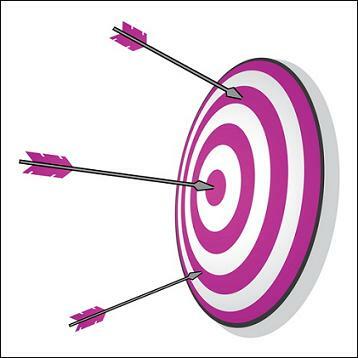 One of the first questions I asked myself was whether we could accomplish both goals? The answer to that is…… a qualified “yes”. But it’s going to take some effort. 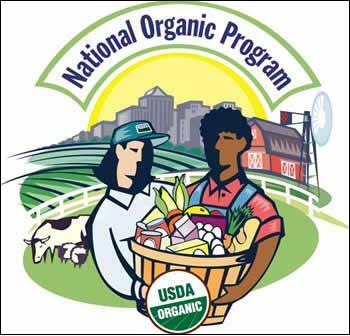 My first task was to review my options while under organic certification, to determine which portions of our feeding program are already consistent with the National Organic Program (NOP), and which if any need to change. That actually consists of two steps - first, determining if the ingredients and ratios in our feeding program are both sufficient and appropriate, and second, determining if each ingredient is available from a certified organic source. The first half of that assignment is more involved than it looks. Part of the application process requires that I provide the actual rations used for each class of animal (young/growing animals, pregnant animals, lactating animals, dry/mature animals). This information is used to determine whether the rations are both sufficient AND appropriate for each class of livestock. By sufficient and appropriate, I mean that the animal’s dietary needs are met, in ways that are environmentally, ethically and ecologically appropriate. For instance, I could say that I feed my hogs a certain volume of food every day, which meets their protein, carbohydrate and vitamin/mineral requirements. If that’s all I needed to do, there would be no way for the inspector (or the customer for that matter) to know what ingredients actually went into my ration. I could be feeding a high quality, wholesome diet of legumes, grains, root crops and grubs. That sounds like pig heaven to me. Or, I could be feeding spoiled foods out of the dumpster and still meet their most basic dietary requirements. By going through the exercise of listing every actual ingredient, and the ratios of each, I can show (and the inspector can verify) that their diet is not only sufficient, but also appropriate. The second half of that assignment is where a lot of folks run into their first major obstacle. It’s easy to look at a bag of conventional COB (corn, oats and barley), side by side with a bag of certified organic COB, and think that there is no difference between them. It is then very easy to think that someone shouldn’t have to be limited to using the certified organic COB, when the conventional COB looks the same, smells the same, but costs less. But let’s step back and take a look at that for a moment. What’s the difference between the conventional COB and the certified organic COB? For one thing, certified organic COB is made from grains raised in certified organic ways, in certified organic soils. That has a whole boatload of implications. First, the corn would have to come from non-GMO sources. That’s a huge concern to a lot of people (including me). Second, conventional grains are often raised with a whole plethora of artificial substances - synthetic fertilizer, broad-leaf weed killers (Roundup and others), pesticides, grain fumigators and even soil sterilizers in no-till operations. The list of chemicals that can go into every bag of conventional COB is staggering. By using certified organic COB, the livestock owner (and in turn, the end consumer), can be assured that those grains were not raised with any of those substances. Instead, the crops were grown on soils whose fertility came from natural ingredients such as rock dust and compost, weeds and pests were controlled via beneficial insects, mechanical tillage, crop rotation and cover crops, and the seed stock was from non-GMO sources. So the visual similarity between the two bags of COB isn’t the true measure of the difference between them. A thorough understanding of the methods used to raise them gives the more accurate accounting. By using certified organic feeds, we do more than feeding wholesome, non-contaminated grains to our animals. We’re also rewarding another farm’s efforts to be good stewards of the land. So, having reviewed our rations and our sources, what did I find? Most of our ingredients are fine - we already make a point to feed whole foods in ratios that are both sufficient and appropriate for each class of animal. Our sources, however, need to change. We had fallen into the convenience of buying our raw ingredients from conventional brands from the local feed store. Having made the decision to go organic, we’ll need to find certified organic suppliers. That part is actually fairly easy. Our local feed store already sells a certified organic line of feeds, which I could buy instead of the brands I’ve been buying. We could also go back to buying feeds from a certified organic feed mill a few hours north of us, whom we have used in the past. While the brand available at the feed store is tempting because I already buy my feed there, that per-bag cost is higher than what I’ve been using. That would very quickly blow our budget and our goal to cut our feed bill by 10% this year. Happily, buying from the certified organic feed mill meets several of our goals. First, we’d be buying certified organic feeds, already mixed in approved rations, so that requirement would be met. Secondly, we’d be buying in bulk, which actually drops our feed bill below what we’re currently paying. Third, they bring it to us, which certainly meets the convenience factor. The only two downsides are the need to set up more feed storage, to accommodate the greater volumes, and budgeting to buy our feed a month at a time. While the per-day feed bill will go down, that’s a big chunk to pay for all at once. And that will take some planning and some discipline on our part to set aside that money in advance. But once we make that initial leap, the per-day cost will be lower and that bill will be easier to swallow. The only other major ingredient in our feed review was our hay and pasturage. One of the most fundamental features of the National Organic Program is that ruminant animals must have access to pasture for a significant part of the year - 120 days. We have been working towards that, and our rental pasture fulfills that need quite nicely. But in order to meet NOP standards, that pasture must be certified organic. That brings along a whole host of management requirements to ensure that pasture is maintained in sustainable ways. Similarly, our hay must also be certified organic, and the hayfield must then also be managed in sustainable ways. The good news is that our landlord has never used synthetic fertilizers or weedkillers on that property, so we have no issues with residue. But the burden falls to us now to show that we’re not merely managing the grass, but also the soil, in sustainable, fertility-building ways. So we’ll need to run soil tests this year to determine what condition the soil is in, then create a fertility program to meet any imbalances or deficiencies. While that was always in the general plan, we’re on the hook now to make it happen. One of the benefits of being certified organic, in my mind anyway, is that our long list of things to do “someday” is forced into the present day. We can’t put off soil tests and fertilizer applications and rotational management for some future date. We have to make time for them now. The good news is that by doing so, our field’s long-neglected soils will almost certainly begin showing much-improved harvest yields, possibly as soon as this year. Had we put off those improvements, we also would have put off the increased yields. Ironically, the boost in yields may very well more than pay for the fertility inputs. Our overall hay cost could very well drop. So, here at the start of another month, and on the verge of a whole new set of rules, we are rather amazed to see that both our bagged feed bill and our hay/pasturage costs may very well go down as a result of our organic certification. That’s a far cry from the concerns we heard when considering our application, namely, that our feed bills would skyrocket. While we have our work cut out for us, the result will be higher quality feeds, from healthier soils, at lower cost than what we’re currently paying. No matter how many times I go over the books, I keep coming to that conclusion. And if that’s not a drastic improvement in the bottom line, I don’t know what is. In a previous blog entry, I wrote about the different types of certification available to farms and ranches who aim to manage their land, their animals and their plantings in sustainable ways. I had frequently mulled some kind of certification over the years, and there are certainly a few to choose from. The idea of certification appealed to me, both for the recognition it would provide as well as for the standards we’d have to maintain to earn, then keep, that certification. Odd as it may sound, such rules and guidelines would sometimes be a comfort, or at least a reality check, as we try to juggle so many different projects and figure out how to keep the whole thing humming along in some coordinated way. But earning any sort of certification was always a lower priority at any given time than, say, getting a new hay shed put up, or getting the pigs bred, or getting the fence done, or any of the 1001 other tasks which pop up and demand attention at any given time. We weren’t in much of a hurry, we certainly had improvements we wanted to make first, and it didn’t seem to be hugely important to our overall operation. That all changed with our recent pig sale. As I wrote last week, we pre-sold our pigs through a distribution group organized by a friend of ours. During our conversations about the hogs, she asked if she could describe them as “organic hogs”. I told her that technically speaking, she couldn’t call them “organic” because we weren’t certified organic, even though we already met most if not all of the standards for certification. She then asked if she could describe them as “raised organically”, to reflect the fact that we weren’t certified yet held to those standards. I had to tell her no, because again that term is carefully regulated, and it implies not only meeting the standards, but that some third party has inspected and verified that we meet those standards. I could not in good conscience let her use any variation on that federally defined term, since we had never gone through that particular review of our operation. She was disappointed - many of the folks on her distribution list put value on the idea that they’re buying from farms and ranches that adhere to those higher standards. After our conversation, the question of how best to describe our practices stayed with me. As did the fact that of all the certifications available to us, the customers asked for and recognized the “certified organic” label above all others. I started to look at more of the nitty-gritty, and the reasons people have given for not going certified. Recordkeeping was a biggie, and for good reason. One of the ways that certifying agencies keep tabs on certified farms is via the records they keep - what materials and methods and management styles do the farms/ranches use? What sorts of results did they get when using those materials and methods and management styles? What were their production volumes, and were those production volumes reasonably possible given those methods? What problems did they have, and what solutions did they use to overcome them? In short, do the results reported agree with what the farm or ranch could reasonably produce using organic methods? Any sort of discrepancy would be cause for a closer examination. Merely compiling all that information would be tedious. Being told what to do, how to do it, how to report it and then weathering the inspections to prove it all - that would be a whole new quantum level of tedious. I could sure understand someone not wanting to mess with all that. But the thought stayed with me that we’re already working at that level. Would the record-keeping really be that bad? My husband is a huge fan of records, and data crunching in general. He has often asked me detailed questions about this-or-that aspect of the farm, and I didn’t have the records to come up with a solid answer. I never liked that situation and neither did he - it’s hard to make good business decisions in a vacuum of information. So the notion of recordkeeping started to sound like a burden that would be in our best interests to bear. The second major objection a lot of folks have is the limitation on what materials they can use to treat problems: pest and disease problems with crops, soil fertility problems, and health problems with livestock. Yet a review of our own practices and preferences over the years told me that we already “reached for” those solutions which we knew were acceptable under the National Organic Program rules. We used holistic methods almost exclusively with our livestock, we used natural fertility-builders for our soil, and we relied on soil fertility, mechanical traps, season extenders and certified organic substances to treat any sort of crop pest or disease. We could hardly claim to have record-breaking yields, but it was important to us that we weren’t solving a problem today by using a substance that we felt could create problems down the road. In short, we were already meeting the criteria that most folks find hardest to meet. Not because we had to for lack of other options, and not even because we had to for the sake of some certification. We met those criteria because we agreed with them, in letter and in spirit. So two of the biggest hurdles looked like they either wouldn’t be hurdles at all, or surmounting them would work in our interest anyway. The last variable before deciding to apply, was the rental pasture. That is such an integral part of our operation that we couldn’t apply without including that parcel. Yet it’s not our parcel. We felt it was the right thing to do to get our landlord’s permission first. After all, we’d need his cooperation to get that parcel certified - he’d have to provide the affidavit that no prohibited materials had been applied to the land for the last three years, and that he’d agree to it being managed per the NOP rules in the future. So I called him one recent day and told him I wanted to come over “to discuss some tentative plans” I had for that parcel. He was intrigued to hear what I had in mind. I called on a Monday, and set our appointment for later that week. Those were the longest few intervening days I’ve experienced in a long time. Would he laugh at the idea? Would he be dead set against it? Had he applied something that I didn’t know about, which would sink the application? Would he be excited? Would he be irritated? Would it somehow violate our lease? I really didn’t know what to expect. I went over at the appointed time, and presented my proposal. To his credit, he was receptive and open-minded. He let me go through my whole plan without interruption, and he was silent for a moment afterwards, as if gathering his thoughts. “No matter what is response”, I remember thinking, “at least he heard me out.” And then the questions started. Careful, thoughtful, realistic questions. He was concerned the soil had some significant deficiencies; how did I plan to correct for those? Would the 14 acres provide enough hay and pasture to meet all my livestock’s forage needs for a whole year? That blackberry patch along the south fence line - how would I deal with that if I wasn’t allowed to use broadleaf weedkiller? Those questions, and working through my proposed answers, took up another whole hour. He then told me that he had occasionally thought of certifying his farm as organic, but the whole process had seemed too much, and he hadn’t been sure of how to solve those problems. He was far more than merely willing to allow me to proceed. Rather, he was very supportive and encouraging; I had his full blessings to proceed. Armed with that last requisite piece, I knew the time had come. I drove home, fired up the computer, called up the state’s organic program website, and started downloading all the application materials. We were going to go for it. In future blog entries, I’ll write up more detail about the process of applying for organic certification: any frustrations we may have, obstacles we may discover, and the experiences we gather along the way. Whatever comes of this application, just going through the process will be quite a thorough review of our operation. I expect it’ll be quite a ride. They say that growing the crops and raising the animals is the easy part of farming. The hard part comes when you try to sell those products you’ve worked so hard to create. And to sell them at a price that accomplishes the impossible: high enough to not only cover costs but also reap at least a little profit, low enough to keep the customers happy, even enough to be on par with what your other regional producers are charging, and flexible enough that if some piece of this puzzle changes, you can change too. That’s a tall order. Yet that was the order of the day when the time came to set the purchase price and start selling our near-ready market hogs. My first move was to figure out how much we’d spent on them so far, and how much more between now and slaughter. Our sales price had to cover that cost, at a minimum. Thanks to the work I’ve been doing studying our feed costs and patterns, I was able to put together a fairly accurate estimate for how much they have cost from birth to market date. It matched up fairly well with published figures that I was able to find online for the amount of feed required to bring market hogs to market weight. OK, Step 1 was done. Step 2 was figuring out what the going market rate was for market hogs, and how they were sold. I had seen flyers posted around town at places like the feed store, the butcher’s shop, and in various neighborhood classifieds such as Little Nickle and craigslist. Prices varied, depending on the age and size of the hog, and how it was being sold. WA state law allows hog producers to sell by the whole or the half, and that’s how the vast majority of others marketed their hogs. I found enough ads during my search that I was able to set up a pricing structure that would cover our costs, make us a bit of profit, and still be about par with other sellers. Just as a reality check, I submitted my marketing ideas to a small scale hog producers list that I’m on, and asked for feedback. Several folks responded, including two producers near me, one of which was in the same county. They all shared the opinion hat my prices were too low, and that I should raise them just a bit. Not only would that provide a better return on my investment, but they also pointed out that low-balling the market was not the way to build a reputation for quality. Furthermore, they reminded me that the customers I make now are hopefully going to become repeat customers. It would not reflect well on us if we had a low price this time around, only to raise prices later. Set those prices where they need to be the first time out of the gate, and then ongoing customers wouldn’t be surprised. So, I took all that advice, wrote up a nice sales blurb, and posted my ad in the regional craigslist. And waited. I started to get calls about a day later. The calls were all about the same - they’d seen the ad, they were interested in buying, but they had never done this before and they had questions. One of my hog list members had warned me that first-time buyers often required a great deal of hand-holding. So I was expecting this to a certain extent. I called them all back, walked through the purchase options, answered their questions, and got the same uniform answer from all of them - “we’ll think about it and let you know.” And that was the last time I’d hear from them. I started to get nervous. After almost a week of this, I started to think that I needed to reconsider my strategy. I was reaching a wide variety of possible buyers, but I clearly was not reaching the right clientele: folks that were already comfortable with the idea, knew what they wanted, knew the price was good, and were ready to buy. But where to find them? Almost as an afterthought, I contacted a friend of ours who runs a bulk foods buying group for a church congregation about an hour south of us. We had been receiving her newsletter for years, and we had participated in a variety of bulk buys from her in the past - dry goods like grains and beans, fruits, canned and dehydrated goods, etc. We knew that she hooked up buyers and sellers for meats too. That was exactly what we wanted, and I was embarrassed that I hadn’t thought of contacting her earlier. I sent her a short email about what we had and when it would be ready, and kept my fingers crossed. She emailed me back within a day or so, and said yes she could certainly put out the word for us that we had market hogs for sale, but our pricing structure was a little different than her group was accustomed to. She described their pricing structure and asked if that alternate arrangement would be satisfactory. At first, I resisted the idea. I had worked through my numbers pretty carefully - why should I accept something else? But then I took the time to work through her pricing structure, and I’m glad I did. Under her pricing system, we’d get more from our sales than we would have through our craigslist ad. I emailed her back and said yes, that pricing would be fine. And then the amazing happened. Less than 24 hours later, she emailed me back and said she’d sold our hogs. It was that easy. And herein lay the lesson. When we were reaching out to the wrong crowd, we received nothing but questions, and even after answering the questions no one was ready to commit. When we found the right crowd, not only did they already know how the process worked, they were ready, willing and able to write the check. I had my deposit checks within 4 days of our friend putting out the word to her distribution list. So it’s not just a matter of going through the motions and checking the numbers to make sure everything adds up. It’s not even a matter of reaching “enough” people. It’s a matter of reaching “the right people”, in terms of customers who already know what they want. So we head into our last few weeks with this first batch of market hogs, enjoying the comfort that only comes from knowing they are already sold. I can’t describe how fantastic that feels. I can say that if we hadn’t gotten them sold, I would have gotten increasingly nervous as their butcher date approached, because we would be on the hook for selling all that meat, and running out of time to do so. Happily, we make the connections we needed to make. Better yet, that same connection is also interested in whatever else we have for sale in the coming months. That right there is worth gold - having a market ready, willing and able to buy whatever we produce, at going rates that cover our costs and guarantee a bit of profit. So, Dear Reader, if you are wrestling with how best to either buy, or sell, a variety of farm products, we now can wholeheartedly recommend at least exploring any bulk buying clubs you may have in your area. Churches, office buildings, social clubs, even Yahoo groups are forming all over the country to connect buyer with seller in ways like I’ve described above. It may not work for everyone, every time. But it worked extremely well for us this time, and we look forward to working with our particular buying club in the future. The above is one of my favorite paintings from one of my favorite artists, Norman Rockwell. He had a talent for capturing potent human emotions, behaviors and activities, in ways that people can instantly identify with. 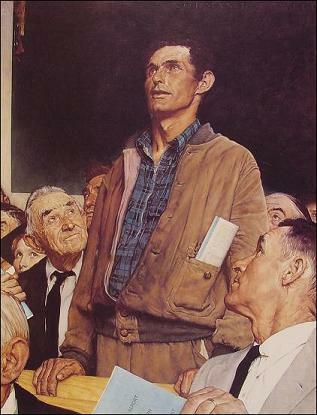 The above painting is entitled “Freedom Of Speech”, painted in 1943, as part of his “Four Freedoms” series. It celebrates the right, and responsibility, of people from all walks of life to participate in community policy building. It is an image that I have held close to my heart for a long time. Even as I take a break from such participation, I look forward to being able to resume my rights, and responsibilities, in this topic. To read more about this image and Norman Rockwell in general, please visit The Norman Rockwell Museum. There is a lot to be said for learning at the feet of the master. When we absorb lessons learned the hard way by others, we can avoid “reinventing the wheel”, and we can make more rapid progress forward on this great learning curve called farming. The dissemination of information has never been easier than it is now, and books, downloads and video streaming certainly has a role in training the next generation of farmers. That being said, there’s still nothing quite like going to a workshop, being surrounded by folks who have been where you want to go, and/or folks who are trying to learn the same things you’re struggling with. The camaraderie that forms within such groups can be a powerful motivator. And the information shared can be astounding. Similarly, there’s a lot to be said for getting involved with local, regional, state or even national groups who are working in some way to protect or advance sustainable farming efforts. Farming has never been easy, granted. But we face unique pressures now that our predecessors never experienced. Those pressures can drive policies, laws and regulations which either make our work harder, less profitable, and/or outright forbidden. Our nation was founded on the notion of public involvement at every level of government, and that is still true today. I have long advocated, here and elsewhere, that people need to get involved in the policies that affect their lives. It’s a lot of work, but it is our first best solution for ensuring that government policy works for us, or at least with us. Having said all that, however, there is a point at which we have to stay “Enough”. I reached that point this year. We definitely fall into the category of “beginner farmers”. I’ve written in a recent blog that I’m not even sure I’ve earned the title “farmer” yet. So when these workshops have come around, through either our state’s land grant university, our county extension office, or other regional agencies and entities, we’ve usually attended. Whether it was pasture management, cover crops, small grains, poultry processing or market veggies production, we figured we had something to learn. And we learned a tremendous amount each time. So when this year’s workshop schedules were released, my first inclination was to attend as often as possible. But then I started to really consider - at what cost? Many of these were workshops similar to those I had already attended. It would have been wonderful to visit with the folks I’ve met over the years, learn the latest and greatest in various topics, get the scoop on new policies or regulations in the pipeline, and otherwise enjoy the time spent “talking shop”. But I could also spend that time actually getting stuff done around here. Whether it was building fence, repairing existing buildings, building new shelters, or trimming hooves, there was definitely work to be done that wouldn’t get done if I was off-farm. A review of the to-do list, versus what I’d likely gain by attending the workshop, almost invariably came back in favor of staying here and getting things done. I had the same experience when encouraged to attend various meetings. I’ve written in the past about how attendance and participation in these meetings is, I believe, a responsibility for us all. I’ve logged a lot of hours with such groups, working to build new ag processing facilities, changing county or state policy, giving informed comment to government officials as they deliberate laws and regulations, and compiling information and documentation as evidence to support advocated changes. I don’t regret any of that effort. Yet when I looked at the issues before us at the moment, the people already involved in making changes, and the agendas for the various groups, I realized that my participation there would be minor. My participation here would be crucial. The logical choice, at least over the short term, was to focus my attention here. It’s a hard call, deciding where to invest the limited time and energy we have at any given point. I definitely felt the pull to participate in all these activities, and I never doubted the value of doing so. But perhaps one of the most crucial lessons I’ve learned so far, is that we can’t do it all. No one individual can be everywhere they’re needed, attend to every issue of interest, and make the most of every new opportunity that trots down the road towards us. We can only do so much, and learning our boundaries is as crucial a lesson as any of the rest of it. Right now, the farm needs my attention if it is to thrive. That’s a hard reality. If I put things on hold in favor of learning some new thing, I won’t be able to put that new thing into place if the farm isn’t up and running to take advantage of it. It becomes a catch-22. All these fine lessons learned about how to run a farm better, requires an up-and-running farm to begin with. So this year at least, I’m going to focus on putting all my existing knowledge and lessons and how-to wisdom to work. I have no illusions that we’ll get it right the first time. We won’t. But we’ll get it up and running. Once we reach that point, THEN I’ll feel better about taking some time to go learn how to do it even better, or go advocate for policies which protect and encourage this sustainable farming way of life. But until then, my time and my energy belong here. 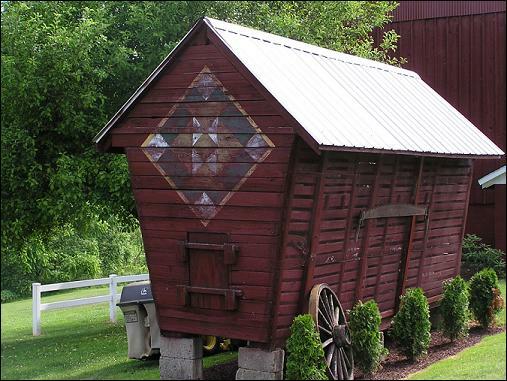 An absolutely gorgeous old corn crib, well tended and painted in 2011 with a quilt design by barn artist Scott Hagan of Ohio. Corn cribs were traditionally used to store corn between harvest and feed-out. They had to provide rugged protection against wind, rain, snow, sunlight and rodents. While entirely utilitarian, they could also be quite beautiful as Scott’s work can attest. Note the slope of the walls which ensured the contents would stay dry even during driving rain, and also note the small door in the front wall, through which the contents could be removed a little at a time. For more information on Scott’s wonderful work, please visit his website at barnartist.com. Plans for small-scale corn cribs and other grain storage bins can be found online by Googling “corn crib”, “grain storage” and similar terms. Our first month’s close-up look at the feed bills yielded some surprising results, and opportunities. First of all, it turns out that tracking our feed bill has been difficult, in part because of how I have built our feeding program. I tracked exactly how much we spent on feed in January; that part was easy. But how was that feed used amongst the various animal populations? I decided a long time ago that I wanted to build our feeding program on items that we could either purchase, or grow ourselves. So I purchase bagged whole feeds, such as scratch grains (wheat, corn, oats, barley), COB (corn, oats and barley), alfalfa pellets, cubes or bales, sugar beets, sunflower seeds, split peas. That part has worked out well, because we have definitively concluded that we can maintain our animals on feeds we can grow ourselves if we choose to do so. However, I mix-and-match those ingredients in custom blends for each category of livestock, and that blend varies over time. For instance, we feed more alfalfa and sunflower seeds during the cold months. We also feed any given blend in varying amounts depending on the weather, the age/growth stage of the animal, the physiological state (dry, pregnant, lactating, growing), and even the marketing stage (putting on weight, trimming down weight, adding a “bloom” prior to sale). Given all that variation, we can’t simply look at our feed receipts and tell how much a particular animal used a particular feed. If we’re serious about tracking these costs, we have to either stabilize the recipes, or measure and document every last ounce of feed we use, and who we feed it to. A second surprise was the variation in cost amongst feed ingredients. I could easily understand that higher quality feeds, ie those which had higher levels of protein, would cost more than coarser feeds. What surprised me ws that so-called complete pelleted feeds were cheaper than whole feeds of roughly equal nutritional value. Perhaps that part should not have surprised me. I suspect that complete pelleted feeds are sold in much greater volumes, which thus would help keep the cost lower simply by working with greater efficiency of volume. For instance, we switched from a complete hog feed to a home blend years ago, because we wanted to make sure we could maintain our hogs on homegrown feed. But that complete hog feed is cheaper by almost 30% when compared to the mix we’re currently using. Wow! Given that we’re growing out our first batch of market hogs, which means putting roughly 4lbs of feed into every new pound of hog flesh, that single price difference makes a huge change in the weekly cost. Yet that rule had a few exceptions. We feed a lot of alfalfa in various forms: bales, straight pellets, cubes, and an complete feed, alfalfa-based pellet with balanced C:P ratios. Not surprisingly, the straight bales were the cheapest; in our area they priced out at $0.21/lb. The second-least expensive was the straight alfalfa pellets, at $0.30.lb. The next most expensive was the complete feed alfalfa pellets, with the correct C:P ratio, at $0.33/lb. The most expensive was the alfalfa cubes at $0.34/lb. I had been feeding that a lot because I figured it would be less expensive since it was less “altered” from the original form. Also, it was marketed in a 40lb bag rather than a 50lb bag, so it was slightly cheaper PER BAG than the other forms of alfalfa. But on a per-pound basis, it was the most expensive option. Finally, I confirmed something I have suspected for a long time, namely, that buying feed by the bag is the single most expensive way to do things ever invented. Purchasing feed by the bag is many, many steps removed from buying it direct, and every step adds something to the cost. Conversely, every step we can peel away from the core cost, the more we can save ourselves. For instance, I buy X number of bags of feed from the feedstore at a certain standard retail price. If I merely buy that same feed, from that same retailer, in the same bags, but still loaded on the pallet, I get a 10% discount from that particular retailer. If I buy from the mill, rather than the feed store, I can knock off another 10-20%. If I get those same grains from that same mill in bulk form, rather than in bag form, I get yet a better discount. And if I buy straight from the farmer that grew them, that’s the cheapest of all, even if it’s the same grain sold to the mill. However, there’s a fairly significant second issue involved: convenience. And this comes in many forms. If I buy feed bags on the pallet, I have to have a way to lift, move and stack pallets weighing up to a ton. That generally means two things - a forklift, and a heavy flatbed truck which can handle the weight. We have neither at the moment, although our tractor could be mounted with a three-point-hitch forklift. The flatbed is another story. We’re already investigating that possibility for a variety of reasons, but it’s not something that is going to happen overnight. So that right there limits our options. However, one of our regional certified organic feed mills also offers a delivery service, at prices which are competitive with even the local conventional feed prices. That option is quite attractive; we’ve used their service before. We eventually switched to bagged feeds from the local feed store only because we drove past them on the way to/from work every day. Now that my work is here, I have to re-examine that logic and that pricing. The other issue with buying bulk is - where to store it all? During February, we used five different types of bagged feed, dozens of bags of each. We have a row of 10 metal trash cans in which to store the feed to protect it from wind, rain and most importantly - rodents. That system has worked fairly well for us until now. But as we get bigger, and particularly after we start growing our own feed, that storage will be woefully inadequate. We’ll need both a root cellar in which to provide either cold-and-dry or cold-and-moist storage for a variety of crops, as well as much larger bins in which to store dry grains. A corn crib is a traditional, yet practical, way to safely store corn in the ear until it is needed. Well designed cribs are easy to load, easy to unload, and provide good ventilation yet protect the crop from weather, heat and rodent damage. All these storage facilities must be in place before we switch over to bulk purchases in any form. So after our first month of carefully monitoring our feed, and looking at what that feed costs and how to cut costs, we clearly have our work cut out for us. Happily, that effort will yield considerable savings. It’s one thing to see a lot of work ahead; it’s another to see the savings such work will provide in the long run. We don’t need much more motivation than that to get these projects underway.